This rental project called Enclave at the Cathedral has 430 rental units and plenty of amenities, including an indoor art gallery, game room, screening room, fitness center, parking garage, and more. A boutique residential development in the Flatiron District with nine two-bedroom, two-bath residences and four penthouses. A 33-unit (two- to four-bedrooms) co-op with fitness room, steam room and sauna, children’s playroom, laundry room, bike storage and even a pet spa. 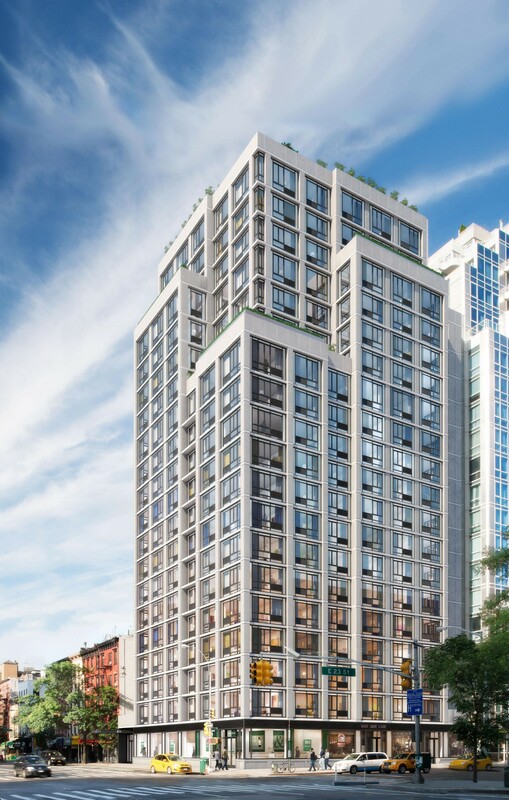 A 106-unit full service boutique rental building along the waterfront in North Tribeca. 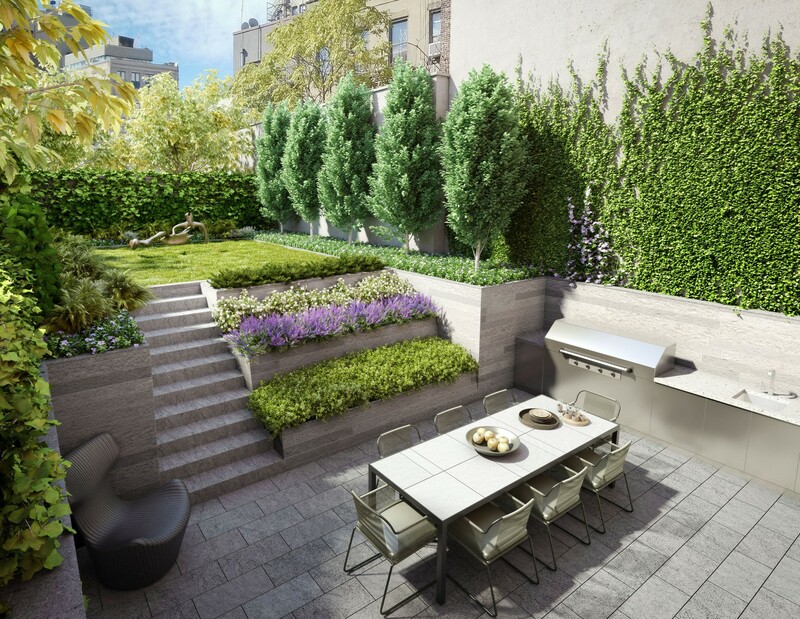 A condo building with landscaped common outdoor space. Fifty-five one- to three-bedrooms in the Madison Square North Historic District (NoMad). An 11-story condo with 94 studio to three-bedrooms. Select units have private outdoor courtyards or terraces. Amenities include an Equinox gym available to residents, landscaped rooftop terrace, bike and personal storage. 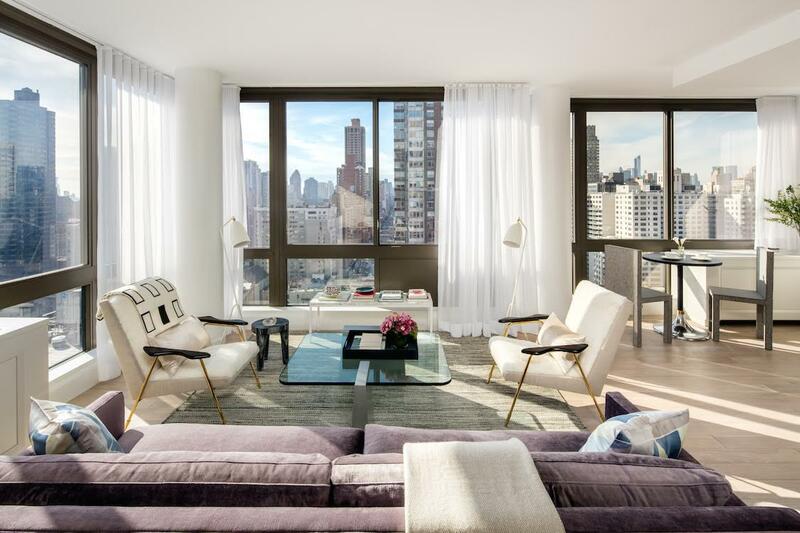 Tribeca waterfront condo with 46 two- to five-bedrooms ranging from 1,900 to 7,000 square feet. Four interconnecting condo buildings with seven to18 stories and 223 units, including studios, one- to four-bedroom units and penthouses with private outdoor space. Building amenities include 25,000-square-foot landscaped garden, a 12,000-square-foot, a resident’s club with 75-foot indoor pool, hot tub, sauna, and fitness center, private parking, storage, children’s room and golf simulator. A 21-story tower will be converted into 103 one to three bedroom units and select residences feature private outdoor space. Building amenities include fitness and weight training center designed by The Wright Fit, rooftop terrace, resident’s lounge with adjoining terrace, 24-hour attended lobby, as well as bicycle storage and private storage rooms available for purchase. An 11-story high-rise with 21 units (one- to four-bedrooms); outdoor space included with select units. Building amenities include a drawing room, fitness center, spa facilities (including a plunge pool, steam room, and treatment room), rooftop garden, full-time concierge, bicycle storage, and private storage rooms available for purchase. An 11-story condo with one- to three-bedroom units. A condominium with one- to three-bedroom residences. 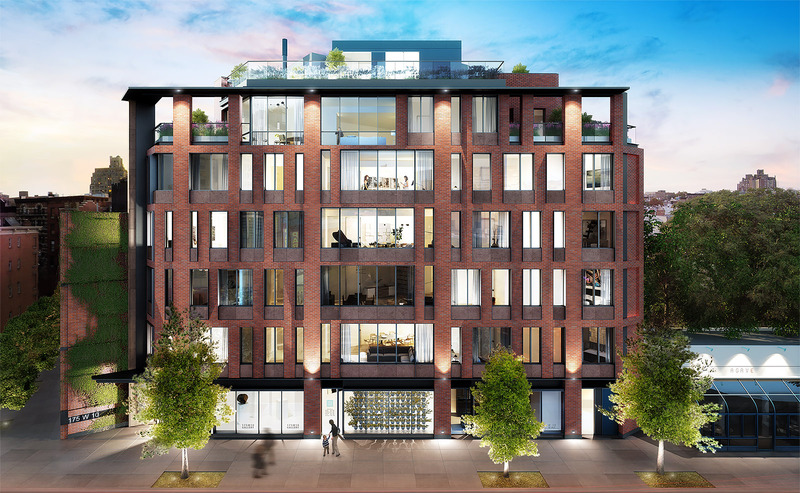 A 23-unit condo building (one-, two-, three-bedroom residences; select full-floor penthouses) with ground floor retail space, one- to three-bedroom residences and select full-floor penthouses. Building amenities include a fitness center, children's playroom, storage, and doorman. A condo with first-floor retail and five residential units: second to fifth floors are four full-floor units, approximately 2,700 square feet; sixth to seventh floor is a penthouse Duplex that is over 3,000 square feet. Building amenities include resident super and porter, concierge service, private outdoor space with each unit, virtual doorman. Note: The project has a total of three units: two floor-throughs, and one duplex penthouse. The building has direct entry via keyed elevator and ornate architectural details and original stained glass windows. The duplex penthouse has two large private terraces in the front and back. A condo with a doorman and concierge; private storage is included, and on-site parking is available for purchase. Five units (all with four bedrooms and four-and-a-half baths), plus two penthouses with roughly 3,500 interior square foot, and roughly 1,500 outdoor square foot each. A 32-unit condo building with one to four bedroom units. Building features a private outdoor space (either a terrace, balcony, roof deck or yard) in every single apartment, a common roof deck, shared garden and grill, children’s playroom, underground parking with spaces available for purchase, private storage, bike and stroller room, and doorman service. Nine units (seven condos, two townhouses). The building features a fitness area with internet-connected equipment, private yoga room, refrigerated storage for food and flower deliveries, a landscaped, private common garden, climate-controlled wine cellar, dry cleaning, and on-site bike storage, as well as a 24-hour attended lobby. Thirty condo apartments, ranging from ground-floor garden residences to rooftop penthouses. Building features include a gym with a dry sauna, a common roof deck, a bicycle room as well as optional storage. 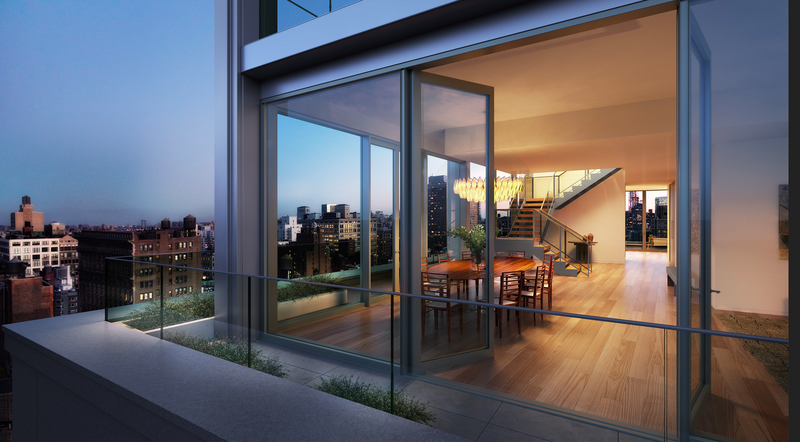 A luxury residential condo (with a retail component) that will be designed by renowned architect Annabelle Selldorf. A 612-unit rental building that features a 21,000-square-foot fitness and wellness center (with a Pilates and yoga studio, and private massage and treatment rooms), plus a game room and screening room, bowling alley, and golf simulators. A restaurant and lounge are planned for the top three floors of the 66-story tower with Black Fox Coffee Shop and full-service gourmet market in the lobby. Developer: Rose Associates and DTH Capital, Inc.
Forty-two studios, one-, two- and three- bedroom loft-style units, spread across six interconnected buildings. The project is ongoing; units are renovated as they become available. An 82-unit condominium project with one- to four-bedroom residences, plys 16,000 square feet of indoor and outdoor amenities, including a 50-foot indoor pool, a fitness center with sauna and steam room, a library with a fireplace, a roof deck, children’s playroom, and on-site parking. Sixty-seven rental one- to three-bedroom units. Amenities include fitness center, private dining room with catering kitchen, lounge, and landscaped outdoor terrace. The base of the building will have flagship retail space. Amenities for this rental building include a kids’ play room, a tween room with game area, study nooks, study rooms, sound proof rehearsal rooms (some with Steinway piano and ballet bar), private access to Equinox Gym, party room with catering kitchen and more. A condo project with 83 two- to five-bedrooms. Amenities include (among others) three levels of indoor and outdor facilities, indoor heated swimming pool, fitness center with saunas, Camp Kent children’s playroom, lounge with catering kitchen, and courtyard garden. The 50-story, 521-foot condo will be the tallest tower north of 72nd Street offering unprecedented city and Central Park views. The 48 residences (from lofts to five-bedrooms) will be full-floor or duplex. Amenities include a partial basketball court, soccer pitch, game room, residential lounge, wine room, private fitness and yoga studios, and an interactive children’s playroom in partnership with the Children’s Museum of the Arts. This 31-story condo has been converted into 156 one- to three-bedroom condo residences. Building amenities include 24/7 concierge/doorman, fitness center, lounge with adjacent private outdoor event space, children’s playroom, landscaped rooftop terrace, and private storage and bicycle storage. Residential amenities in this condo include a private lounge, a wellness center with sauna, spa and swimming pool, public amenities on ground and second floors include food hall, fine dining and private dining facilities. This condo has plenty of perks, including a fitness center, a cedar sauna, aromatic steam room, tea lounge, 24-hour concierge service and doorman. 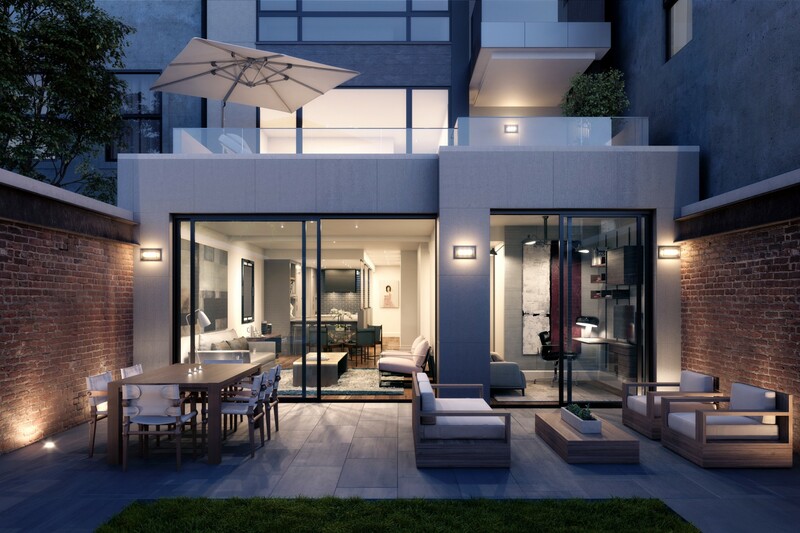 Two penthouses have private elevator corridors with windows and landscaped terraces. A 93-unit condo with a collection of two- to five-bedroom floorplans, plus a single duplex and an expansive full-floor penthouse. Amenities include lounge, library, 30-seat dining room, breakfast and meeting room, billiard room, screening room, gym, Pilates equipment, yoga studio and spin room as well as two fully furnished guest suites. The spa has an indoor swimming pool with sauna, steam, treatment and ice rooms. This project has 169 rental units, and plenty of amenities, including a common landscaped terrace with a fire pit, a fitness center, lounge field house with basketball court and rock climbing wall, and bike room. Building will be LEED Silver and features enhanced water and air filtration systems. 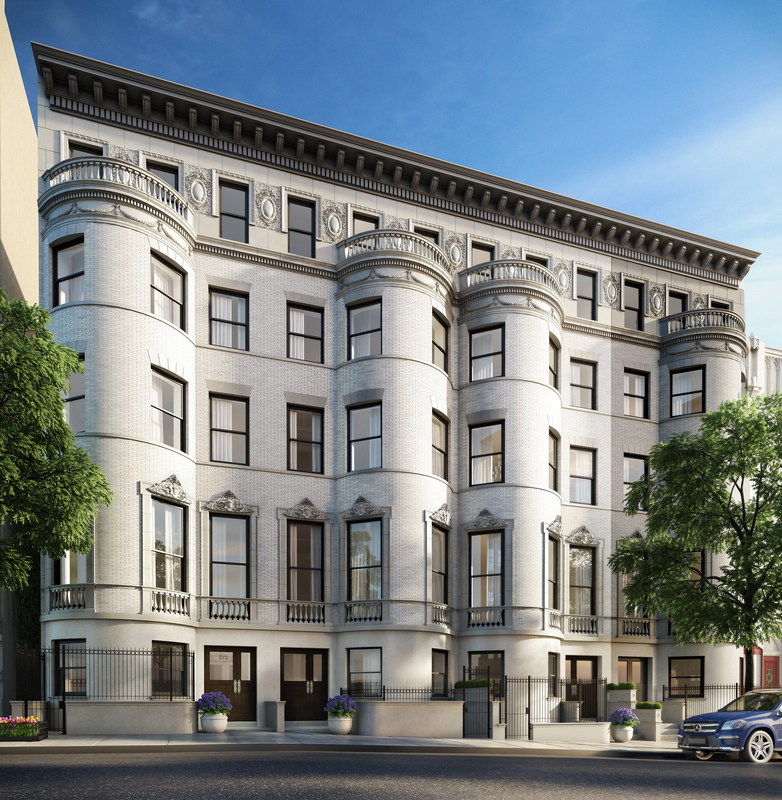 Made up of three adjacent landmarked mansions, this doorman condo will have seven residences: five four-bedroom units, one three-bedroom unit, and one six-bedroom penthouse. Building amenities include about 20,000-sqaure-feet of private exterior space. A rental building comprised of two, 14-story towers, each with a landscaped rooftop, connected by a central, multi-level courtyard. There will be 280 units from studios to two-bedrooms. Building amenities include a fitness center and yoga space, pet spa, game room, children’s play room and bike storage. 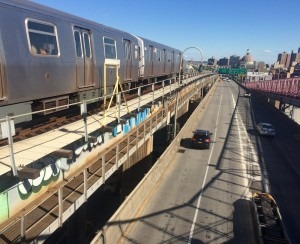 GETT, the on-demand black car app, will offer residents priority service, premium cars, and exclusive rates. 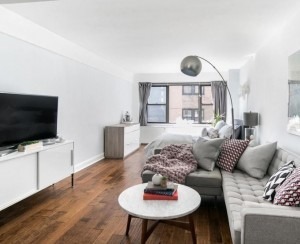 A condo building offering 155 residences comprised of studios through three-bedrooms and a garden duplex residence; each unit has a washer and dryer. The full-service building with 24-hour concierge, children’s playroom, fitness center with separate yoga and spinning rooms, private storage units, interior courtyard, resident lounge, a rooftop deck, a wine cellar with dining area, and a co-working space. 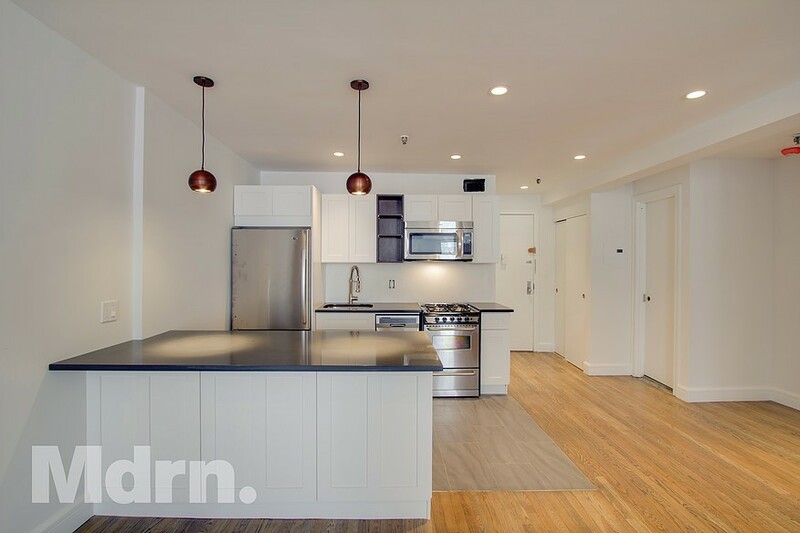 A five-unit condo building with a maisonette, full-floor units, and a duplex penthouse; amenities include bike, package, and storage rooms, private keyed elevator, and virtual doorman. 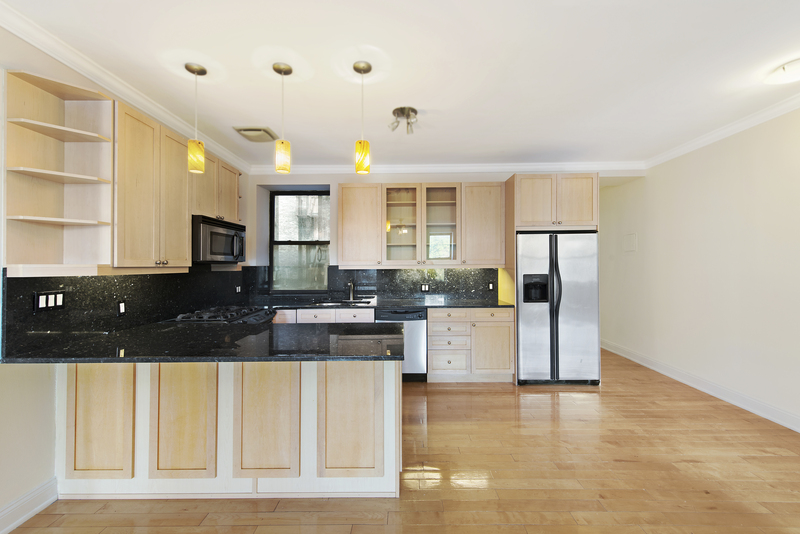 A 43-unit, landmarked building with one- to four-bedroom rentals. Building features landscaped roofdeck, resident lounge, playroom, yoga studio, courtyard, and 24-hour lobby attendant. This Harlem co-op will have studios, one-, two-, and three-bedrooms. Amenities include an attended lobby, media room, common outdoor space, bike storage, fitness center, and green roof. LEED Certification is pending. 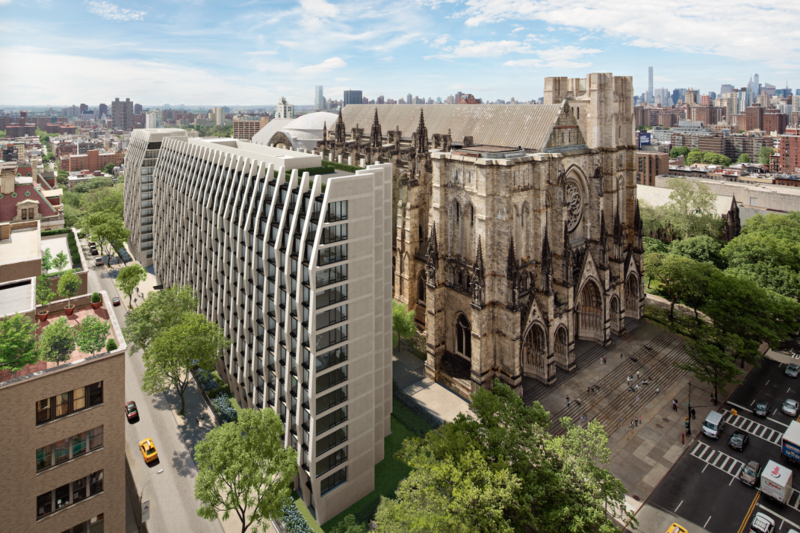 This rental project, pictured in the main image above, has 430 rental units (studios, one-bedrooms and two-bedrooms). Building amenities include indoor art gallery, game room, screening room, curated café, fitness center, parking garage, two roof decks, and a landscaped terrace with outdoor television. Pricing: $2,400 for studios, $3,050 for a one bedroom, $4,215 for a two bedroom / one bath, and $4,720 for a two bedroom / two bath unit. A six-floor, 26-unit condo with a mix of studios, 2 bedrooms, 2 bedrooms with home office, and 3 bedrooms with home office.